Farm sitting is where you arrange to stay on a property, providing security and care for the owners home and property while they are away. There is a great deal of variation in farm sitting situations. Every property owner has different needs, and different expectations of what their Farm Sitter can/will do for them. However, there is a generally accepted minimum “standard”. As a starting point, most farm sits involve a Farm Sitter moving on to a property and in to the home when they go away. 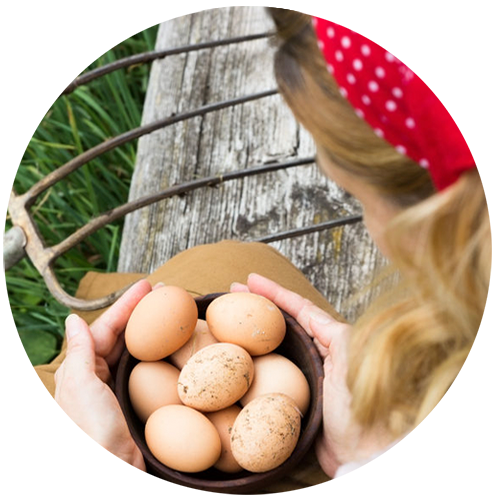 The Farm Sitter takes over the total responsibility of caring for the home, property, gardens, and pets. Property care is generally restricted to checking waters and livestock unless otherwise agreed. A farm sit period may range from a few days to several months. The Farm Sitter is expected to maintain the security of the home and property, and to take all reasonable steps to ensure the safety and security of the home and property. No, because Farm Sitters – Australia does not “place” you. It is up to the property owner to choose you or for you to choose a suitable position. Placement depends on your unique skills and experience to suit a particular position or your availability and ability to travel or spend the time required to meet the property owner’s requirements. Does everyone on the Farm Sitters - Australia list get an equal chance to be selected? Yes. Each Farm Sitter has the same opportunity to promote their unique skills and experience and the value they can provide to the property owner. The Farm Sitter listings are produced on an equal, non-preferential basis. What sort of person is likely to be chosen? Every property owner has different preferences. With choices made depending on individual requirements. It is important for the Farm Sitter to promote their skills and experience. It is also important for the Farm Sitter to provide quality references prior to becoming a Member of Farm Sitters – Australia. Positive endorsement from the property owner following a farm sit is also beneficial. Am I less likely to be chosen if I live outside the area where I need a position? In some cases Yes, but not always. Property owners sometimes choose a “local” simply because they will have a better understanding of the local area, it will be easier to meet them and they will be available at short notice. Address this by promoting you are willing to travel and are flexible in regards to availability. For Farm Sitters that are regularly travelling this will not be a problem as you will be able to plan ahead. Does it cost extra to register for more than one region or state? No, registration fees cover you nationally and are for a full year. You can utilise the services of Farm Sitters – Australia if you are travelling anywhere across Australia. Do I have to accept positions that are offered to me? No. If you are not interested in the position, or if it is unsuitable for you, just politely decline. Will I be taken off the Farm Sitters - Australia list after I accept my first position? No. Your registration is for 12 months – your advertisement is included for the full 12 months regardless of how many positions you are offered. Yes. If you need to update your contact number or your address or rewrite your advertisement, this can be done at any time free of charge*. What is a normal 'farm sit' stay? Farm Sitters can be offered anywhere from a few days to several months. This depends on the property owners requirements. The usual period is 2-4 weeks, but there is a wide variety of positions offered. Do we stay in the house? Generally the accepted security measure is to have someone “live in”. However, some positions do prefer the Farm Sitter to have their own accommodation and will offer power, bathroom and laundry facilities. Are we able to give feedback? It is important to let the property owner know how you thought about your experience, either verbally or through a note. It is also important to let Farm Sitters – Australia know when and where you have completed a farm sit and your experience. We are able to offer you the best support when we know what works best and areas that may need to be addressed based on your experience.